If I could have any kind of bad romance in this world, this would be the one I’d choose. Having your marriage blow up right in front of you is a terrible thing and you’d never think it to be the subject of a fashion editorial. Guess again! 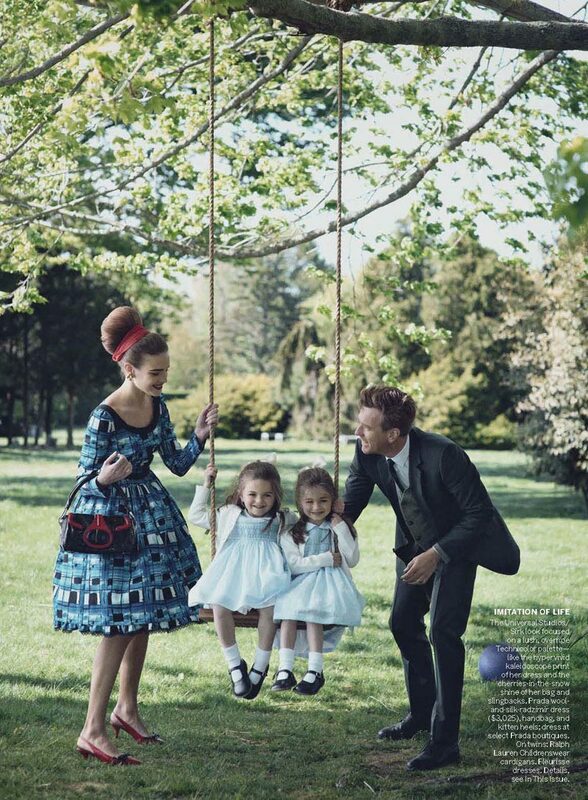 This photo shoot is the reason I loved Vogue America’s July issue. Styled by Grace Coddington (isn’t she the best? ), this pictures make you want to look as stylish as Natalia Vodianova and Ewan McGregor while your life is breaking to pieces. Oh, yes! I’d like me some „stylish disaster” please, since the road to deception is paved with this season’s Prada stilettos and the forever fashionable Hermes Birkin. Far be it for me to underestimate the power of clothes, but this is what I truly love about fashion: the emotions and the power to transform yourself into everything you want to be! 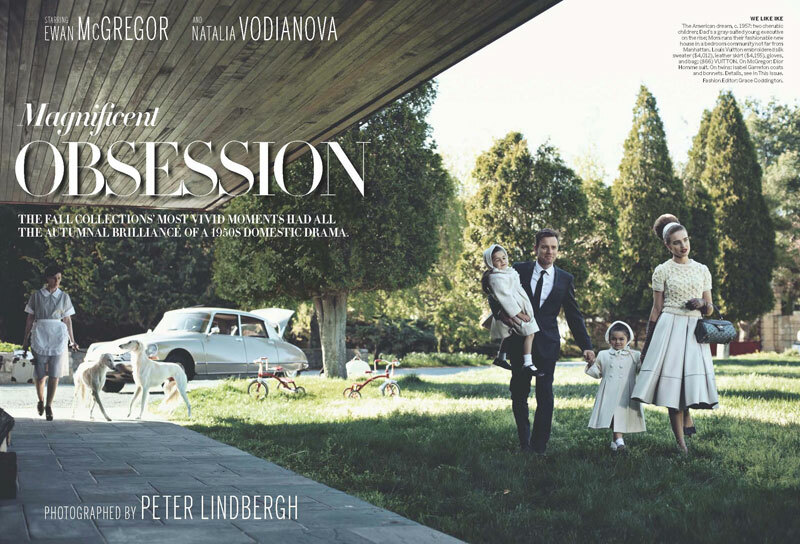 Acest articol a fost publicat în editorials și etichetat ewan mcgregor, grace coddington, hermes birkin, july issue, natalia vodianova, peter lindbergh, prada stilettos, usa, vogue america. Pune un semn de carte cu legătura permanentă. I LOVED this spread. And those little twins smiling when all is falling apart… just kills me. Gorgeous photos! Def the last outfit is my favourite! who doesnot dream about that kind of life?? This is perfect. I loved. oh! la la! lovethis editorial! i just bumped into your blog! it’s so cute! this is the life indeed.